Every year the cold weather welcomes a dose of skin dryness and irritation, so we’ve collected some of our favourite wonder-products to help out. In our opinion, skin care is the one product you should invest in. First on the list is an overnight treatment. The Estee Lauder Nightwear Plus Detox Crème is lightweight but refreshing. 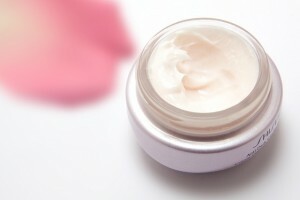 The cream helps repair skin from daily pollution and UV rays, as well as helping detoxify the skin. It is the more expensive product on the list (£46) however it is intensely hydrating and works its magic while you sleep. What could be better? Our next product is a lip balm. The Chantecaille Lip Screen (£32) is a sophisticated product and a lovely treat for the lips. With a subtle gloss and a clever blend of rose and honey to sooth and repair, it is perfect for the winter months. Incorporate this into your daily make-up routine, apply as as a base before your favourite lipstick for long-lasting hydration. The Embryolisse Lait-Creme Concentre is the more budget-friendly product on our list. This multi-purpose rescue lotion (£20) has a range of uses: a primer, a moisturiser and a make-up remover. It is suited to all skin types and can also help reduce irritation after shaving – bonus! Finally, we have chosen the Clinique Deep Comfort Body Oil (£25) to complete the list. Body oils are long-lasting (you only need a drop) and instantly nourish your skin, leaving you feeling nice and smooth. The formula contains mild exfoliating properties, so it can even soften those pesky dry patches and restore glow. A facial is a beauty treatment to restore a healthy, clear complexion and give you radiant skin. Visit our fact-sheet to find out more. View and comment the original Harpers Bazaar article.